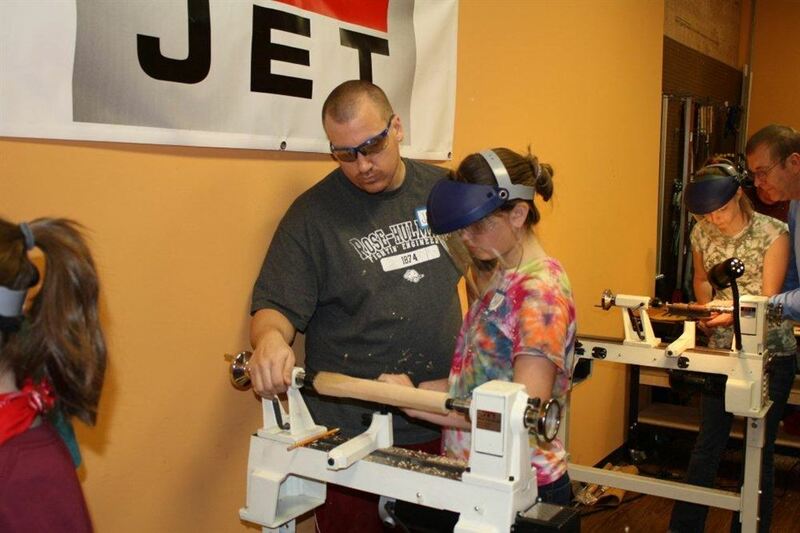 The youth Open Shops are for teens (11-17) that have some lathe experience and can work somewhat independently. Goal is to have 2 mentors on hand for up to 4 teens. Teens with little or no experience are welcome, but they must be accompanied by an experienced, adult turner. If teen needs a “one on one” mentor contact Mary Carol Meinken at marycarolmeinken@gmail.com and we will try to find someone for you. A project may be selected for the evening and supplies provided. Youth are invited to bring a project they are already working on or which to have help on. Youth are welcome to use the wood that is available for all open shops if it suits their needs. Tools and safety equipment will be supplied by the OVWG. Bring and use your own tools & equipment if you have them. Teens should come in short sleeve shirts, long hair tied back, no jewelry. An extra crew neck t-shirt is useful to protect clothes from sawdust and shavings. There will be no charge to the teens for this event, but they must be members of the OVWG. If they need to become a member, this can be done on the website. Youth memberships are only $5 per year. Registration will close 3 days before each event so that we have time to obtain needed supplies and recruit enough adult help. Come Learn to Turn Together! Introduction to woodturning for multi-generational pairs. Youth with adult pairs are invited to grow together in the art and craft of woodturning.Youth must be at least 12 years of age. This program is designed to provide the novice with an ordered approach to core skills of woodturning. All sessions are taught in the OVWG Learning Center. All necessary tools and materials are provided by the OVWG for these introductory sessions. 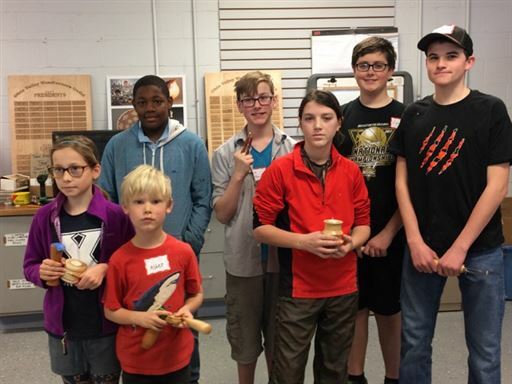 Each youth/adult pair is assigned an experienced woodturner and 2 lathes for each session. Opportunities for repetition and repeated practice are built into the program in order to build confidence and proficiency. At the end of the course, new turners are invited to join the OVWG and participate in the wide array of activities for members. How to enroll in this program click Multi-Generational and follow the instructions. A nominal fee of $10 for each youth/adult pair per session will apply. Fees are collected online at the time of registration for session 1 and each subsequent session. 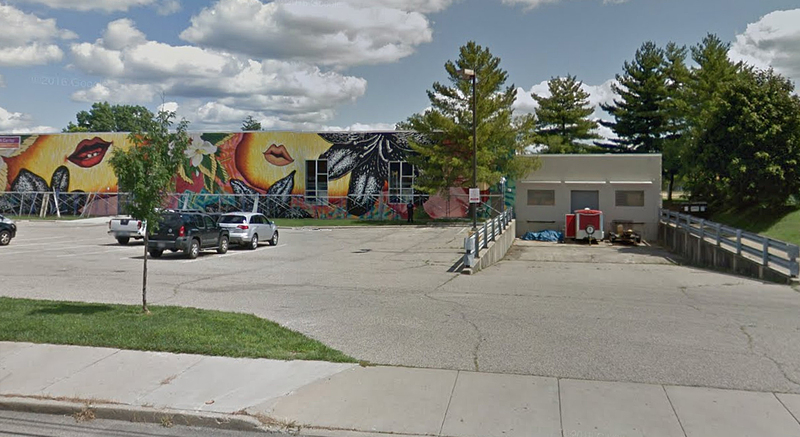 OVWG Learning Center is located at Kennedy Heights Cultural Campus in Cincinnati: 6620 Montgomery Road, Cincinnati, OH 45213 The studio entrance is on the south side by the loading dock area.